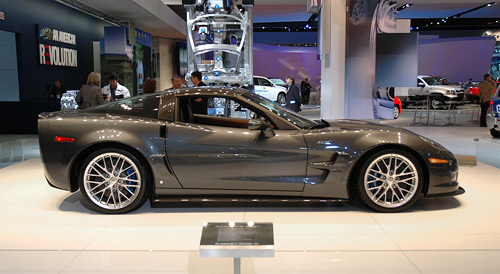 [NAIAS 2008] Corvette ZR-1 | OhGizmo! 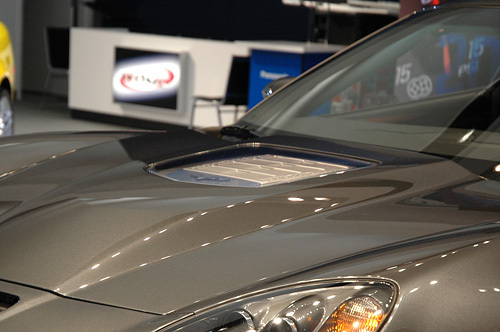 [NAIAS 2008] The Mach 5 – Go! Speed Racer, Go! Given the choice, or the opportunity if security wasn’t looking, this is one of 2 vehicles I would have gladly left the show floor with. 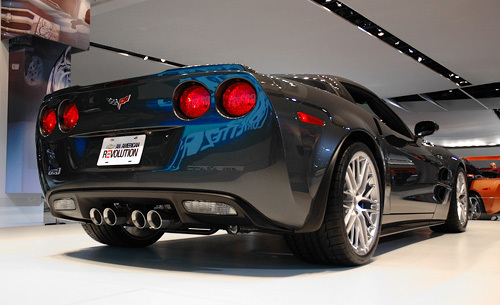 The Corvette ZR-1 is powered by a supercharged 6.2-liter V8, producing 620HP and 595 lb-ft of torque. 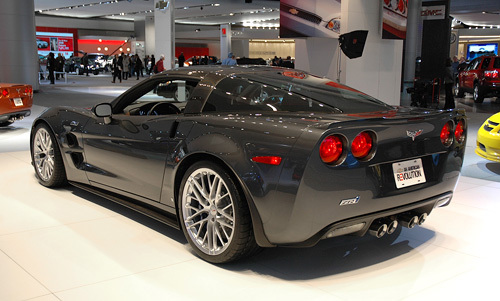 At 3350 lb (curb weight) it means the latest Vette has a power to weight ratio that’s better than the Porsche 911 GT2, the Ferrari 599 and the Lamborghini LP640, according to Ed Peper, Chevrolet’s General Manager. 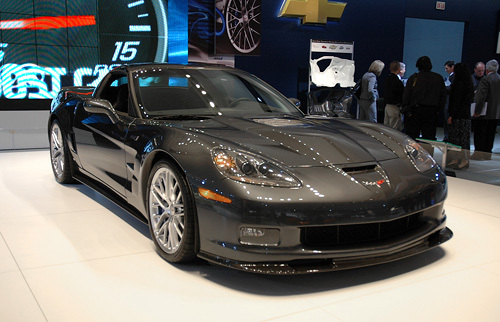 It also means the ZR-1 is the first production Corvette to reach a top speed of at least 200mph. Perfect for taking the kids to school, or at least one of them. 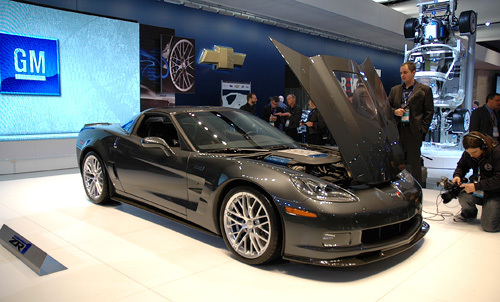 It was also interesting that while the ZR-1 was one of the most anticipated cars to come from GM in the past few years, it didn’t actually get any stage time at the GM booth. Instead the company focused their announcements mostly on their environmental and alternative fuel initiatives. Even as a Corvette fan, I’m glad they did. 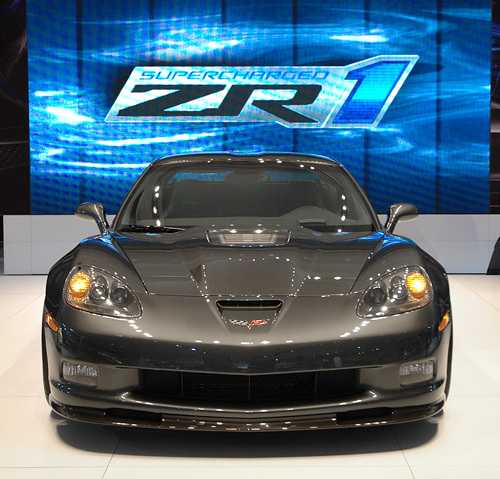 One particularly cool feature of the ZR-1 is the carbon fiber roof, which not only looks great but is also strong and light. 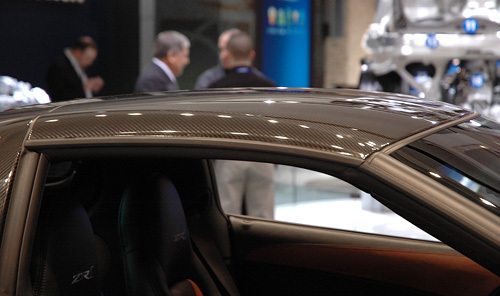 However, as great as carbon fiber is it still fades and disintegrates under UV light, which is why most high-performance vehicles don’t use it for external panels. 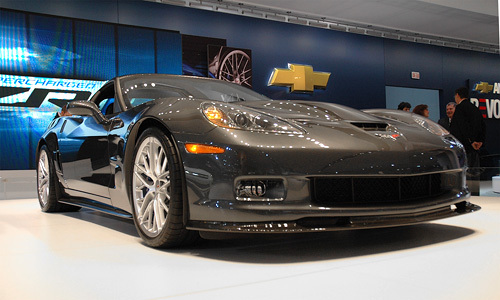 To solve this problem GM actually developed a special coating for the carbon fiber that keeps it looking as good as new, pretty much forever. Oh and a gallon of said coating runs about $60,000. 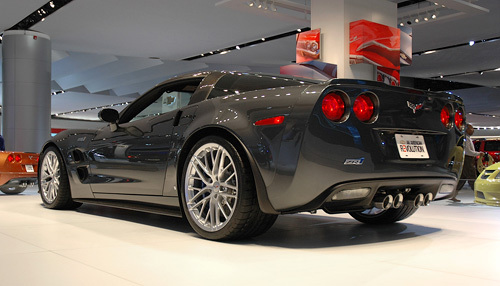 You can find more pics of the ZR-1 after the jump.